Hang out and have fun puzzling and making things with a cheery bunch of girlfriends just like you! Whether you’re a beach babe, animal-lover, party girl or bookworm, you’ll find something cool to do in here! 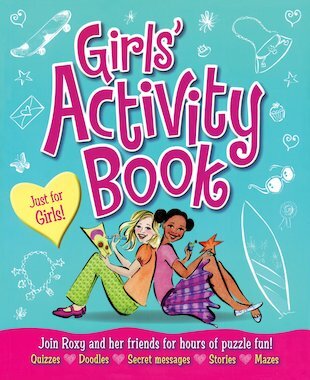 Try out mazes, secret codes, friendship quizzes, crosswords, doodles, fashion designs and things to make and do. 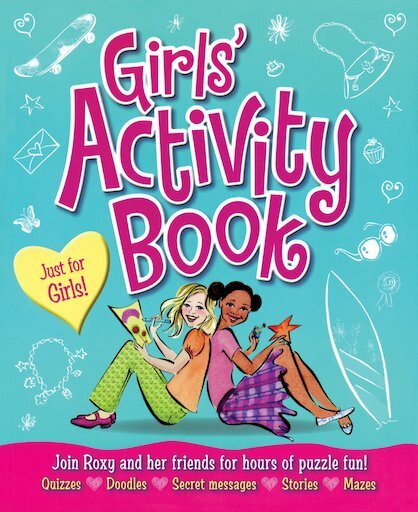 Let Roxy and her friends welcome you to hours of entertainment in this super-sized book of girlie fun! This book is really fun. when I do it I can’t stop.